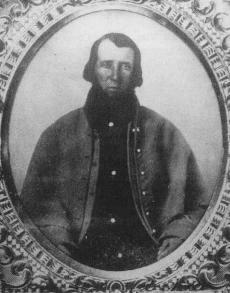 Private George Nixon served in the American Civil War as in Company B, 73rd Ohio Voluneer Infantry. He was morally wounded on the second day of the Battle of Gettysburg when he was shot in the right hip and side during skirmishing with the Confederates on Cemetery Hill. He would die in the XI Corps Hospital seven days later from his wounds. His great-grandson Richard Milhous Nixon would become the 37th POTUS. George Nixon is buried at Gettysburg National Cemetery- his grave is located in the Ohio plot- section 3, grave 4. A picture of Private Nixon below. He was in his early 40’s at the time of his death. Good luck finding his grave as the Cemetery Ridge we visited two weeks ago was immense and thus a challenge to orient distance and direction.